On October, 4, the #EBRD-organized #Silk #Road #Trade #Finance #Forum took place in #Kyiv. In particular, it aimed to #promote #trade #links between #Ukraine, #Asia and the #Middle East. By holding the Forum, the EBRD #re-launches trade relations along the #Great Silk Road. 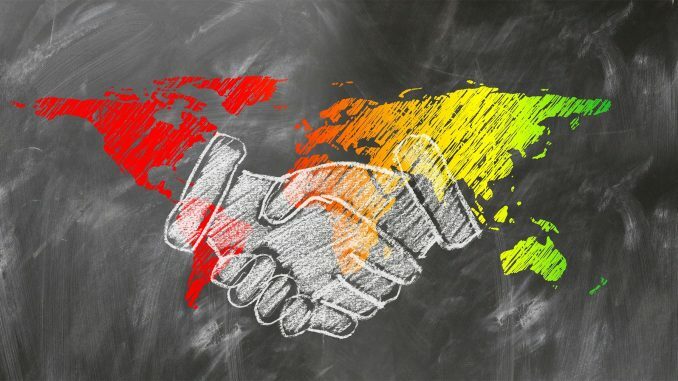 The European Bank for Reconstruction and Development (EBRD) and the state-owned Ukreximbank have organized a unique conference to promote trade links between Ukraine, the Middle East and Asia – the Silk Road Trade Finance Forum, which was held on October, 4, in Kyiv. At the Forum, key players in the field of trade finance discussed the business climate in Ukraine and the latest trends in international trade. Ukrainian participants – representatives of the government, the National Bank of Ukraine, state and commercial banks – learnt about the existing market situation in Asia and the Middle East. Moreover, they had a unique opportunity to get in touch with representatives of large Asian banks. The purpose of the Forum was to present the current trends in trade and to inform the market players about the market chances. The Silk Road Forum provided a platform for the cooperation of experienced banking and law experts from Asia and the Middle East so that they could establish contacts with Ukrainian banks and companies active in the trade with the region. The Forum was co-organized by the International Chamber of Commerce of Ukraine, Credit Agricole Ukraine and the State Savings Bank of Ukraine (Oschadbank). Furthermore, the Trade Facilitation Programme (TFP), launched by the EBRD in 1999, had a crucial importance for the organization of the Forum. In particular, the Programme facilitates international trade in the EBRD’s countries of operation, including Ukraine. Since its launch, the EBRD’s TFP has been an excellent example of the Bank’s efforts to assist the recipient countries in the trade and integration into the global economy. Since then, thousands of trade transactions in Ukraine with 15 Ukrainian banks involved have been supported under the TFP. Don’t believe the US government & the Jewish controlled press. Learn more as to exactly what is going on with KIE’V’S DAILY BOMBING OF INNOCENT CIVILIANS EVERY DAY. Not a peep from the press! !